Except for the occasional rumble of a trash truck up La Pata Avenue, Prima Deshecha Landfill goes about its business largely invisible to the residents of San Juan Capistrano and Ladera Ranch. Yet, the landfill is an important component of the Ranch and residents may have questions about the landfill, both now and in the future. 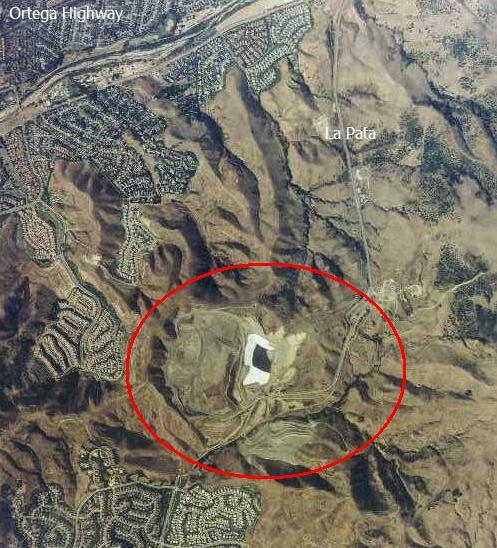 Prima Deshecha Landfill is one of three major landfills used in Orange County, along with the landfills at Sand Canyon (Frank R. Bowerman Landfill) and Brea (Olinda Alpha Landfill). Of the three, Prima Deshecha is the largest in area yet receives the least amount of waste per day. The Bowerman/Sand Canyon and Olinda Alpha/Brea landfills are heavily used and rapidly approaching capacity and closure. Coyote Canyon was a once active landfill that now enjoys new life in proximity to the Irvine Company’s Newport Coast development. The landfill at Prima Deshecha covers an area of approximately 1,530 acres with 699 acres permitted for refuse disposal. It literally spans the gap between La Pata on the San Juan Capistrano border and La Pata in Talega in San Clemente. When complete, the La Pata Gap Extension will traverse the landfill property. The landfill was opened in 1976 and is scheduled to close in approximately 2067. Prima Deshecha is permitted to accept up to 4,000 tons of waste per day, and because it is currently averaging less than that amount, its lifespan may be extended beyond the scheduled close date in 2067. Also working to extend the life of the landfill is a recycling facility that identifies recyclable material instead of burying it. Scavengers pay to access refuse arriving at the landfill for the purpose of collecting and removing salvageable items. Methane is collected from a network of buried pipes, and fuels a power plant at the landfill. A General Development Plan is being prepared for Prima Deshecha Landfill which indicates end use as a 750 acre regional park. This use is consistent with long-range plans to double the amount of land devoted to regional parks. And while the landfill will continue operating as such for the remainder of most of our lives, you don’t need to wait until 2067 to use Prima Deshecha for recreational purposes. Prima Deshecha is already home to an extensive hiking trail on the San Clemente side of the canyon. A San Clemente trail map is available here. 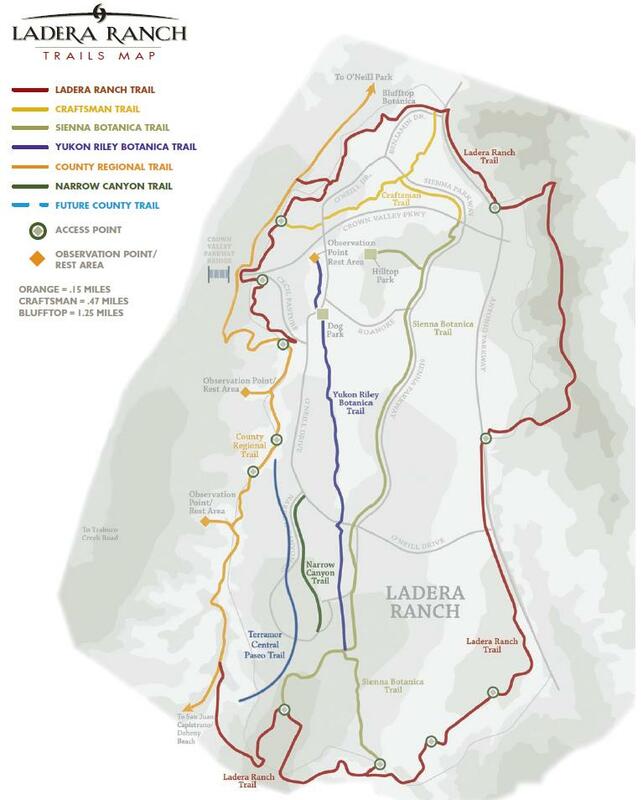 The Prima Deshecha trail is still being extended northward from San Clemente, but will eventually provide hiking, cycling and equestrian access from San Onofre State Park through Talega and connect with the San Juan Capistrano trail system. Hiking Prima Deshecha can be rewarding: despite its current use as a landfill, much of Prima Deshecha remains wildlife habitat. Biologists have observed road runners and the endangered coastal California gnatcatcher within the landfill site. In the long run, conversion from active landfill to regional park is expected to begin when the currently active landfill zone reaches capacity. Orange County has designated two landfill disposal zones within the total Prima Deshecha Landfill site: Zone 1 and Zone 4. Zone 1 is the currently active zone. When it reaches capacity, landfill operations will shift to Zone 4 and Zone 1 will first enter a multi-year monitoring process, followed by conversion to a regional park. Zone 1 was originally projected to reach capacity by 2019, but based on actual inflow statistics, this may not occur until the 2020s or later. If you are interested in hours of operation, available services and accepted/not accepted materials, Orange County’s official Prima Deshecha Landfill web page is available here and there is a PDF fact sheet available here (we have also placed a permanent link under “Documents” in the right sidebar).